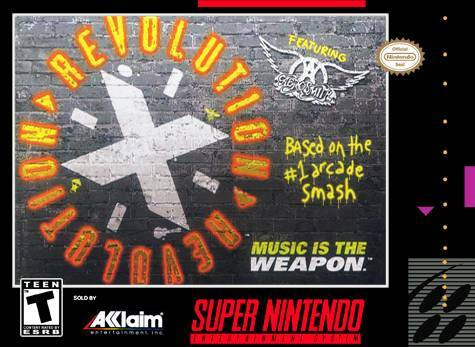 Revolution X for Super Nintendo has you kidnapped by Aerosmith. You must blast anything or anyone who crosses your path. Pick up your musical sonic assault weapon and get ready for the time of your life.